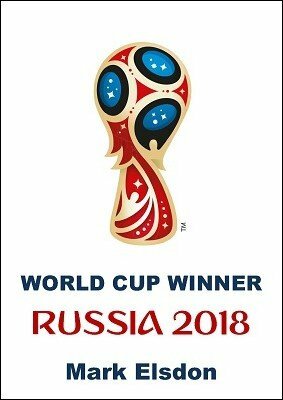 Perform a killer mind-reading and prediction effect based on the Russia 2018 World Cup! In effect, the spectator freely chooses a random team (genuinely, no force!) which might win the World Cup and you cleanly read his mind and tell him that exact team. No anagrams, nothing written down, no 'extra' props or handling. Just pure mindreading. Even better - you then go on to reveal your prediction, a betting slip containing a bet on that exact same team to win the tournament! Perfect for close-up, fantastic for stand-up and guaranteed to win you free drinks from your mates down at the pub, World Cup Winner 2018 is a must-have for anyone who wants a mental winner during this summer's World Cup.